The much anticipated 1.6 firmware update is now available for download. The biggest feature of this update is the addition of the new auto-eject feature. You can now switch games without rebooting and without ejecting discs. All from the comfort of your couch. The new auto-eject feature does not require any modifications to the ODE, nor does it require any new accessories or soldering, it is now available to all ODE users, from all models, with the simple update of your Cobra ODE. We have also added periodical polling of the HDD to prevent hard drives from going to sleep mode which made some games freeze if they had been paused for a while. The HDD polling can be disabled or configured from the cobra.cfg file. When Cobra ODE was first released, we had seen a huge amount of positive feedback, although many users had two major concerns, the first being the use of homebrew to achieve game selection, and the second being the need to reboot or eject discs in order to switch games. With the Cobra ODE browser support which was added in v1.5 and the auto-eject feature added in v1.6, we have resolved both of these concerns for our users. Today, the Cobra ODE looks like a brand new device with a completely new user experience, which we think will make most of you happy. 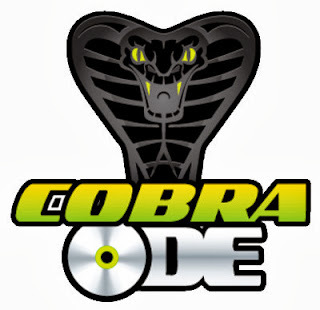 The Cobra Team is the first to bring true "no eject, no reboot" feature to the PS3 ODE world for all models and we will continue to bring you new exciting features in the future.You can now grab the 1.6 update form the downloads section. Please refer to the user manual for updated instructions on how to use the auto-eject feature. We are also releasing an update to ps3genextra tool which generated the Cobra ODE Browser, please use this version with the 1.6 update. Concurrently, we are releasing an update to the Cobra ODE Manager which adds support for the auto-eject feature and in parallel releasing an update to the third party integration library which allows third party managers to use the auto-eject feature.